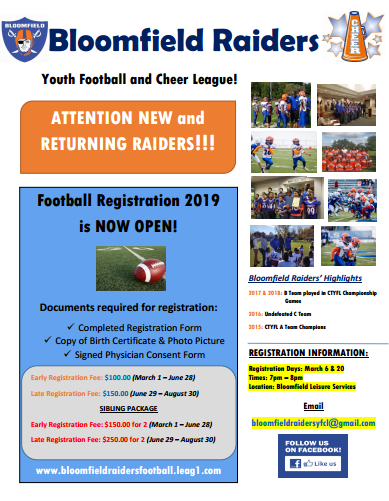 Welcome to the Bloomfield Raiders Youth Football and Cheer League! Football 2019 Registration is NOW OPEN! !